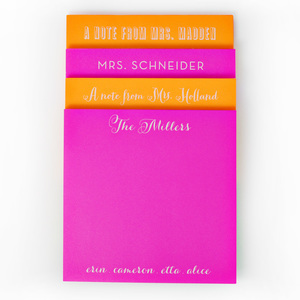 I’m in LOVE with these new NEON notepads by Haute Papier!! Not only are the colors amazing, but the fonts are incredible as well! 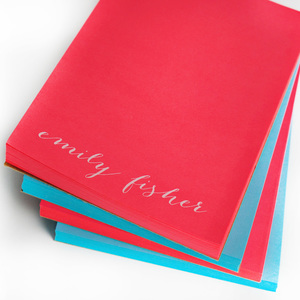 It’s going to be so hard to figure out which color, font and size I will want to order for myself! These make such fun gifts!! 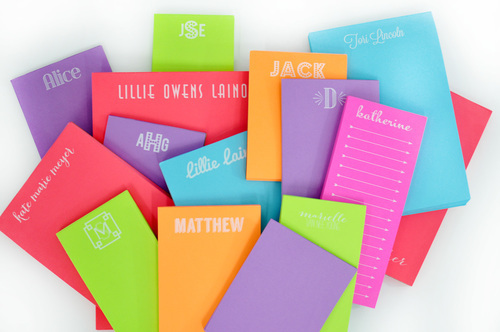 They will dress up and make any desk a little more colorful and fun!! Definitely be in touch with me to place your Holiday orders! My daughter is way ahead of me – thinking ahead to the holidays. 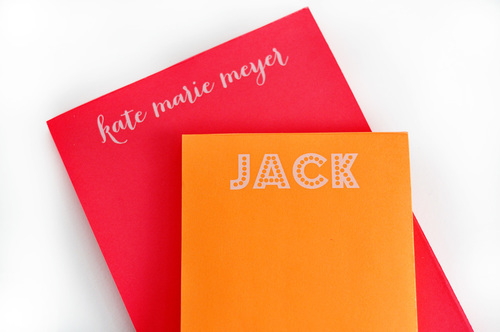 And when it comes to personalized and monogrammed gifts, you need to be ahead of the rush! How can I order? Love these!